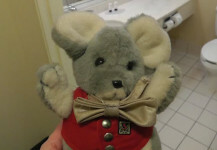 Straus the Stressed Out Mouse (SSOM) invites you to sample his Internet video work, including a vintage episode from his first series, Straus’s Showers. Straus’s Showers is the Internet show about hotel showers that propelled Straus the Stressed Out Mouse to near-celebrity status. In this vintage episode from March, 2012, Straus has a stressed out moment when he visits a shower at the Fairfield Inn in Scranton. 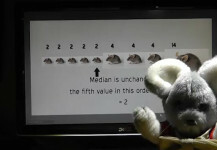 Straus the Stressed Out Mouse shows how not to produce an educational video in this original video viewed at the 2013 SEDSI Conference and never to be seen again…until now. 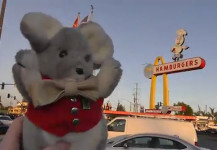 Join Straus in “Down in Downey” as the Stressed Out Mouse discovers an historic eatery, a man named Jack who is trapped in a box, and blows the lid off the Lakewood Boulevard scandal. An original StrausSpace (failed) pilot. 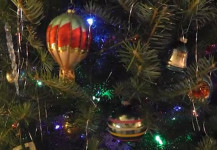 Join Straus in a special 2015 holiday video. Special guest stars: “Mark” and Mrs. Mommy Ma’am, with a special message from Mr. Daddy Sir. 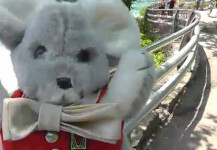 Straus faces the twin scares of a deep Niagara River gorge and high ambient wind noise in his microphone in this special travel edition of Scary Stuff. More vintage and new videos coming soon!